All natural, all Canadian car wash! If your beloved car or truck has had an encounter of a more unfortunate kind with one of our country’s wild beasts, we can take care of towing it for free. 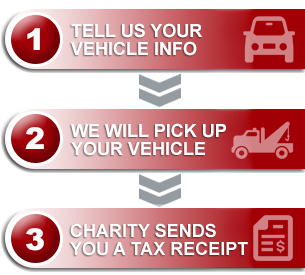 From the fix-it shop, your drive way, or its long-term spot in the garage, our agents can come pick up a donated vehicle in virtually any condition. On the other hand, if neither a car wash or a free tow can right the wrongs of your hard working transport, and the vehicle you want to gift to charity has been commandeered by rodents (squirrels and mice love to shelter in our old clunkers), you may need to find another means of evicting them before we can serve with pick-up support. If the wild has been kind, leaving your vehicle to its own, and the car is in saleable condition, we will gladly make arrangements to re-sell it. So, recycle-ready, or just in need of a good car wash and a roll through auction, we’ll do our part to see your charity benefit from your donation! Many of our charities make it their mission to rescue, re-home, and advocate for Canada’s wild and domestic animals. If care for our four-legged and winged companions is the cause you care about, visit our charity page and you’ll find the organization that best matches your passion for keeping our country just a little bit wild.